Durability, True Quality, & Simply Beautiful. Parrett was proud to provide sash set transoms and inswing casements for the renovation of a historic building that is part of the campus of a prestigious higher education organization. Parrett has extensive experience in manufacturing window and door units for historic university projects. Like most historic projects, these units required a large number of unique, custom features. These inswing casements featured a unique custom profiled exterior extension jamb that resulted in a 15.25” overall jamb depth. 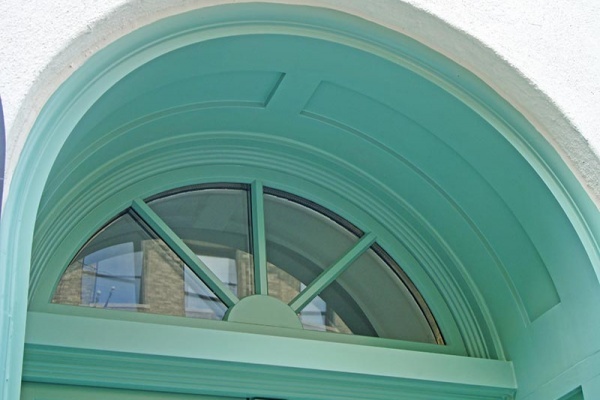 In addition to numerous custom profile setups for components such as the exterior casing, subsill, window stops, and sash/astragal design, Parrett also modified the sash widths to replicate the original daylight openings of the window. Ponderosa pine lumber was specified which was factory finished with our high performance poly paint after treating the wood with our wood preservative for rot and insect resistance. Parrett also primed the interiors of the units to help facilitate easier and more efficient jobsite painting. Tempered, insulated Low E glass was utilized to ensure high performance in a variety of weather conditions which was also complimented by 7/8” SDL grilles. The half-circle transom units featured starburst grille patterns with solid center hubs. Parrett is renowned for our flexibility with customer specified hardware. Frank Allart surface bolts and Baldwin single point latch/locks were utilized in a polished brass finish to match the desired aesthetics of the building. Parrett was able to accommodate a special delivery request to make installation more manageable and efficient to the customer. Again, Parrett was honored to be a part of this university restoration project. Parrett Windows & Doors is the leading nationwide manufacturer of quality, custom crafted wood and aluminum clad wood windows, doors, grilles and accessories. 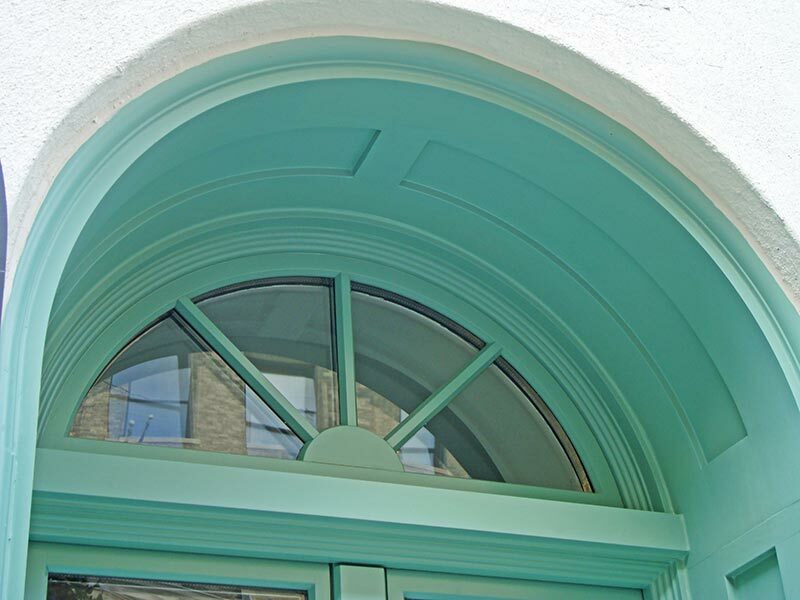 All of our windows and doors are custom built and hand crafted to meet your specifications. You won't be limited when it comes to choosing a quality wood window or door. ©2018 Parrett Manufacturing, Inc. All Rights Reserved. Equal Opportunity Employer.